Imagine having to win over the girl of your dreams ... every friggin' day. Marine biologist Henry Roth (Sandler) finds the perfect woman, Lucy Whitmore (Barrymore) and falls head over heels for her. When he sees her the following day, she hasn't a clue as to who he is. Lucy suffers from a rare brain disorder that wipes her memory clean every night. With the help of his friend Ula (Rob Schneider), Henry has to concoct a new and increasingly clever way to meet Lucy and get her to fall in love with him every day. $45.107 million on 3591 screens. Six years after they first appeared together in The Wedding Singer, Adam Sandler and Drew Barrymore re-teamed for 2004’s 50 First Dates. Set in Hawaii, we meet Henry Roth (Sandler), a serious commitment-phobe who pretends to be fantasy figures to woo tourists. He gives them sweet vacations and then comes up with excuses to dump them. In reality, Henry works as a veterinarian at Sea Life Park. He hangs out with his native friend Ula (Rob Schneider) and plans a big boat trip to study sea life that will take him away from home for a year. During breakfast at a local diner, Henry sees Lucy Whitmore (Barrymore) as she eats alone. He wants to approach the art teacher but feels afraid to do so. However, when he sees her make a little building out of waffles, he uses this as his entry point and chats with her. They go out for a great day and agree to meet for breakfast again the next day. Henry feels totally infatuated with Lucy, which scares him, but he decides not to fight these feelings. After some reluctance, he heads back to the diner, but Lucy doesn’t recognize him. Henry finds out that she was in an accident that caused her a head injury and left her without any short-term memory. She can recall everything up until her crash but she forgets what she learns everyday. Lucy always thinks it’s October 13 and she’s about to go pick pineapples with her dad Marlin (Blake Clark). Lucy lives with Marlin and her body-builder brother Doug (Sean Astin). They go through the same rituals everyday to make life easier for Lucy. Henry attempts to continue to date her, but he finds it difficult to re-approach her everyday in a way that works. Fearful this will negatively affect Lucy, Marlin makes him promise not to do so, but the infatuated Henry finds loopholes to continue to see her. After a while, Henry and Lucy’s family come to care for each other and attempt to provide mutual support. The movie follows their trials as Henry tries to further his relationship. He makes Lucy fall in love with him everyday but forgets him each night, which makes it tough. We see their methods and Henry’s deepening love. Dates offers a “high concept” story, and one with some pretty obvious echoes of Groundhog Day. However, Dates avoids turning into a cheap rip-off of that hit. It manages to create its own identity, and a pretty substantial one at that. One might not expect much from Dates based on its first few minutes. 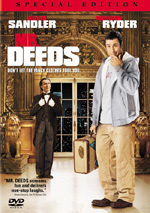 It starts like many other Sandler flicks, as it presents some cheap gross-out jokes such as a vomiting walrus and other nastiness connected to animals. Actually, at times Dates plays like a kiddie flick in the way it utilizes the cutesy critters. However, the movie grows as it progresses and becomes something richer and more substantial. Dates turns into more of a romance/drama as it moves, and it handles the transition well. The film still tosses in enough comic moments to deflate any potential mawkishness, but the tone does change as it goes. For some films, this might become a weakness, but it fares nicely for Dates, primarily due to the strong chemistry between Sandler and Barrymore. The two exhibit a real charm and connection that makes the film succeed. With less of a bond, it’d likely fall flat, but the two create such a winning pair that Dates becomes much more likable and powerful than otherwise might happen. The combination of romance, drama and comedy meshes neatly in 50 First Dates. I wouldn’t call it the best of Sandler’s flicks, but it creates an entertaining world that gets better as it progresses and we see more of a bond among its characters. Happily, the movie avoids magical endings and seems fun and likable. 50 First Dates appears in an aspect ratio of approximately 2.40:1 on this Blu-ray Disc. One of the very first Blu-rays ever released, the image did not hold up well. Sharpness was the main issue, as the image tended to be surprisingly soft. Close-ups showed decent delineation, and some wide shots looked okay, but overall delineation was usually lackluster; for Blu-ray, this was a mushy image. The movie lacked any issues with print flaws, as I noticed no signs of specks, marks, or other defects. Some light edge haloes appeared, and artifacts meant the movie lacked a film-like feel. Colors suffered from the poor encoding as well. The movie opted for a vivid tropical palette, but the general flatness of the presentation negatively affected the hues; they were passable but without much vivacity. Blacks were decent and shadows showed reasonable clarity, but neither excelled. This was barely good enough for a “C-“, as I almost went “D+” for this bland, limp presentation. A few problems also negatively affected the Uncompressed PCM 5.1 soundtrack of 50 First Dates, but it showed some surprising strengths. The soundfield seemed more active than I expected for a romantic comedy. The forward domain dominated the affair, but not to the anticipated degree. In the front, the music showed good stereo imaging, and effects blended together nicely. Those elements moved well across the channels and meshed together seamlessly. As for the surrounds, they contributed solid reinforcement and added some unique audio when appropriate. Thunderstorms and sea shots were moderately lively, and the Hawaiian environment seemed pretty engrossing. Again, this soundfield won’t win any awards, but it seemed more involving than I expected from a film of this genre. Audio quality generally matched what I thought we’d get, though speech showed some concerns. While not a pervasive problem, more than a few lines displayed edginess. Otherwise, dialogue appeared acceptably warm and natural, and intelligibility never became a concern. Effects sounded clear and detailed, and they displayed no signs of distortion. Music proved to be vibrant and lively, as the score and songs sounded clean and rich. Overall, I liked the soundtrack of 50 First Dates. How did the Blu-ray compare to the original 2004 DVD? Audio was a little peppier, as the uncompressed sound seemed a bit more dynamic. Unfortunately, the visuals didn’t do much – if anything – to surpass the DVD. Yeah, I suppose the Blu-ray offered slightly stronger definition at times, but it was so soft so often that I occasionally felt like I was watching a DVD. This movie needs a new Blu-ray presentation. 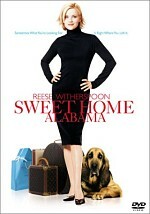 The Blu-ray retains only a few of the DVD’s extras, and we start with an audio commentary from director Peter Segal and actor Drew Barrymore. Both sit together for their running, screen-specific discussion. Though pretty lively and chatty, the pair don’t give us much real information about the movie. They go over subjects like differences between the final product and the original script, locations, improvisations, and general production notes. Barrymore occasionally gives us some nice remarks about character issues and challenges. However, the pair often just praise everything and everyone, and those elements drag down the discussion. They’re bright and bubbly, and they interact nicely, so the commentary goes down painlessly. It’s simply not terribly informative. A featurette called Talkin’ Pidgin goes for four minutes, 55 seconds. It concentrates on the film’s use of Hawaiian slang. A variety of unnamed locals define various terms in this mildly interesting piece. The Gag Reel goes for seven minutes, five seconds. Much of the material offers the usual goofiness and flubs, but we also find some alternate takes and unused footage, which makes the reel more interesting than usual.. Under Previews, we find ads for Hitch and Into the Blue. No trailer for Dates appears here. A surprisingly sweet and charming piece, 50 First Dates falters at times, but remains mostly solid. The film melds a few genres fairly smoothly and seems amusing and likable. The Blu-ray offers generally good audio but picture seems flat and fuzzy, and the disc lacks many bonus features. Fans should probably opt for the DVD, as it provides more substantial supplements and doesn’t look significantly worse.